Our Frailera Pons Avarcas for kids in Taupe are a wardrobe must have, for a little boy or a little girl! 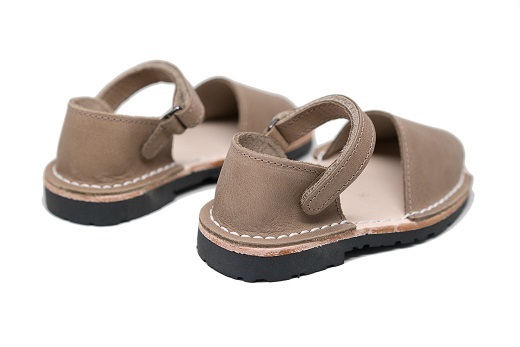 A staple neutral which pairs wonderfully with any outfit, these kids Avarcas have an adjustable velcro strap and greater heel support for more stability. Handcrafted in Menorca by local artisans, these durable Pons sandals are made with the finest all-natural leather and have a lightweight rubber sole. The Frailera Style runs a bit small because of the enclosed leather heel and you may want to size up.